A play button is one of the most important things when it comes to starting a media activity, be it on your PC or phone. The common example of play buttons is a typical black and white combo where mostly the black represents the “play” icon embedded on a white backdrop. However, in modern times, the play buttons are available in wide range of color combinations and variations- such as the one where the “Play” is written in a text format. You have a wide range of PSD App Buttons here which caters to both Apple App store and Google play. You can use it on your website when you have to inform your audience about the Android and iOS compatibility of your application. 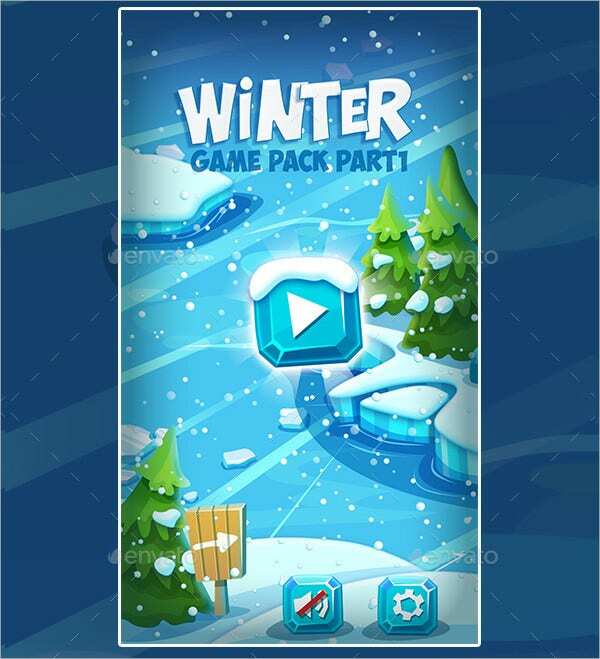 You have a wonderful set of Christmas Winter Frozen game pack here where you will start the screen with a cool Frozen text as well as a Play button. The game screen comes with a brilliant match-3 effect. You have a grand collection of play Button Vectors that shows a wealth of ways about how to spell “Play”. Added to buttons with the signature play arrow symbol, you also have buttons with the keyword written in text format. If you are bored of the typical black play arrow on a white background, this play button here is an awesome relief with its vibrant orange background; the black play arrow makes a nice contrast. You have a set of as many as 9 play buttons here – some of them come with borders while some look really pulling with a bright red surround. They are simple yet smart. The play button set here arrives with a brilliant collection of 9 play buttons. Although all of them appear to be same initially yet on a closer look you will discover the subtle differences in textures and borders. You have a smart and formal play button icon here which you can get in any size as per you needs. One of the best bits about the button is that it’s available in high resolution. If you are bored of the typical black and white play button, this button here is sure to make you think otherwise with its lovely splash of colors. You have a vibrant combo of pink and purple here. This play button stands out with élan in the crowd with its glossy glass texture. The dotted pattern looks edgy and the use of shadows has rendered a dramatic twist to the overall picture. You have a simple play button icon here with its signature black and white look. It’s simple and would be great for those looking for a minimalist appeal without any unnecessary bells and whistles. You have a wonderful set of Multimedia Buttons here that will enable you to perform all the functions when you are playing something on your multimedia player. The red and black combo is just killer. If you are looking for Flat Design Buttons with the play button, this button here is sure to make your day with its smart contemporary flat outlook. You can download it in high resolution. You have an exclusive play button here which is a refreshing change from the typical black and white play buttons – with its cool blue aura and the shadowy texture is just so edgy. This extensive set contains as many as 100 play buttons here with subtle variations and you have a wealth of options to choose from. There are color options available here. You have the classic red YouTube play button here with the “play” symbol in white. You can download it in any size as per your convenience and it’s a high resolution file you have here. If you are looking for options in play button, the list of play buttons above would be a handy help for you. From the usual black and white play buttons to fancy buttons in several interesting colors to YouTube Icon red play button- the list above covers a whole lot of things to cater to a wide range of tastes. 697+ Social Media Buttons – Free PSD, EPS, Vector Format Download! 561+ Multimedia Buttons – Free PSD, EPS, Vector Format Download! 436+ Stylish Grey Buttons – Free PSD, EPS, Vector Format Download! 15+ Login & Logout Buttons – Free PSD, EPS, Vector Format Download! 258+ Black / Dark Web Buttons – Free PSD, EPS, Vector Format Download!